Energized by the continuous reinforcement of seeing joyous families find their new homes, Saiedeh greets each day and each client with the same passion as she did when she started her professional career 22 years ago. Perhaps that’s why her clients are so enthusiastic to serve as her references. Or maybe it is because of her expertise in navigating the complexities of today’s real estate market, her diligence throughout the transaction, her in-depth knowledge of the business, or simply her pleasant disposition. Whatever it is, she’s not about to take chances. So when working with Saiedeh, expect them all in abundance. Over the years, Saiedeh has combined her firsthand experience of orchestrating hundreds of transactions with continuing education opportunities to ensure that she is serving her clients in the best way possible. Currently, she is a licensed Associate Broker and has successfully completed the requisite training for Accredited Buyer Representative (ABR), Certified Residential Specialist (CRS), and Graduate, Realtor Institute (GRI). Not just an alphabet soup of credentials, but peace of mind for her clients knowing that they can rely on her for guidance throughout the process. Her only goal is to find that exact home for you that will generate many years of happy memories. And there is no better reward than knowing she has played a part in getting you to the place you call home every day. 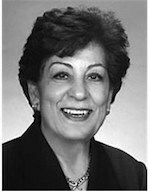 If you are considering to buy or to sell a property in the greater Scottsdale area, Saiedeh would be happy to help. You may reach her at (480) 695-5522 or via email at skaramooz123@yahoo.com.